Nate Burleson, former Lions wide receiver, and Michael Irvin, ex-Cowboys wide receiver, checked in on the Lions-Cowboys match-up on the NFL Network earlier Sunday. 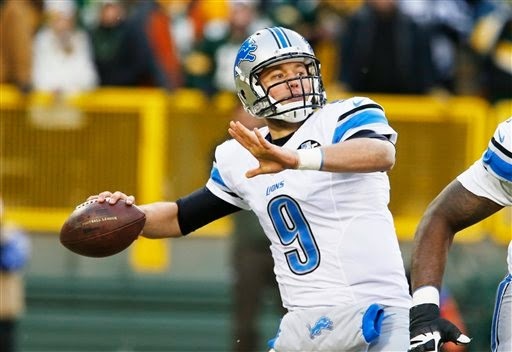 — “Matthew Stafford has to play the best game of his career. I played with Matt for four years and he showed glimpses of greatness. He showed that he can be elite but then there are times where he didn’t take care of the ball.” – Nate Burleson on what Detroit Lions quarterback Matthew Stafford will have to do to win his first career playoff game. — “What Dallas has on offense, I really believe Detroit has on offense. They just haven’t played like that. If Detroit plays like they really know how to play, they have two number ones at wide receiver. This is an easy game for Dallas to lose.” – Michael Irvin on the Lions facing the Cowboys.